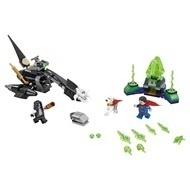 - Includes Superman™ and Lobo™ minifigures, plus a buildable Krypto™ the Superdog figure. - Lobo’s Space Hog bike features a minifigure seat, 2 Kryptonite stud shooters, bomb-dropping function and 2 adjustable boosters. 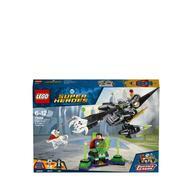 - Kryptonite prison features 2 translucent-green prison walls and an explode function. - Use the bomb dropped from Lobo's Space Hog to activate the prison's explode function. - Includes 10 assorted translucent-green Power Burst elements to customize your builds and minifigures. - Also includes the buildable red Energy Infuser. - Krypto™ the Superdog figure is new for January 2018. 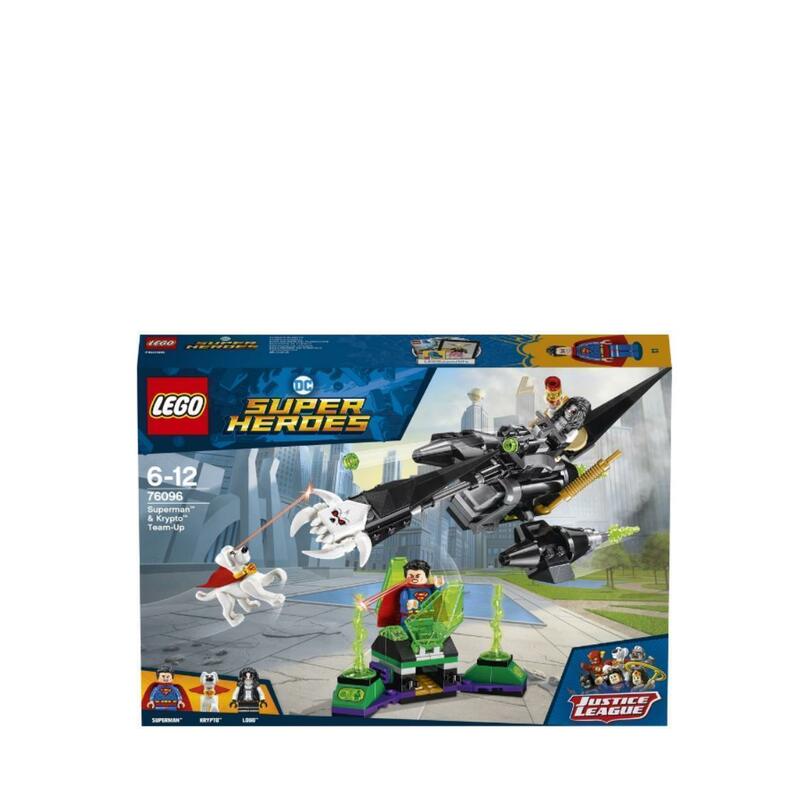 - Connect the Kryptonite prison to the 76097 Lex Luthor™ Mech Takedown set for even more Justice League action. - This cool superhero toy for kids is suitable for ages 6-12. - Space Hog measures over 3” (9cm) high, 7” (20cm) long and 4” (11cm) wide. - Kryptonite prison measures over 2” (7cm) high, 4” (11cm) wide and 1” (5cm) deep.